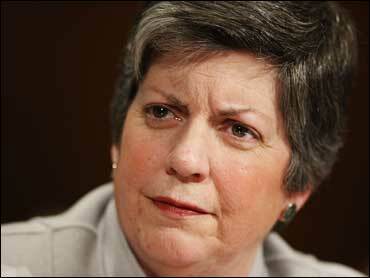 At this point it's little consolation, but Department of Homeland Security head Janet Napolitano turned out to be more prescient about domestic extremism than many of her critics. In April, she got an earful from conservative bloggers and radio pundits after DHS issued a nine-page report, "Rightwing Extremism: Current Economic and Political Climate Fueling Resurgence in Radicalization and Recruitment," which warned of the potential for violence from rightwing fringe groups. "Returning veterans possess combat skills and experience that are attractive to rightwing extremists. DHS/I&A (Office of Intelligence and Analysis) is concerned that rightwing extremists will attempt to recruit and radicalize returning veterans in order to boost their violent capabilities." Napolitano soon backtracked from that particular paragraph and sought to defuse the mini-controversy by making the larger point that department's job is to monitor the risks of domestic violent extremism. "We don't have the luxury of focusing our efforts on one group; we must protect the country from terrorism whether foreign or homegrown and regardless of the ideology that motivates its violence," she said. But in the last month, the nation has been rocked by two instances of violence committed by suspects linked to the sorts of extremist movements to which the report pointed. Scott Roeder, the man being held in custody for the murder of abortion doctor George Tiller, was a member of the anti-government group, the Montana Freemen, according to an interview his father granted to the Topeka Capital-Journal after the arrest. And on Wednesday, Stephen Tyrone Johns, who worked as a guard at the Holocaust Museum in Washington D.C., died after James von Brunn, an 88-year-old white supremacist and military veteran, reportedly opened fire. Police are questioning von Brunn, and his motivations are yet unclear. But on his Web site, van Brunn touts a book he wrote as "a new hard hitting expose of the JEW CONSPIRACY to destroy the White gene-pool." Shooting Suspect Wrote Of "Holocaust Hoax"
Connecting the dots is guaranteed to be a contentious, if not fraught exercise. But as the news filtered out, some liberal bloggers did not hesitate to draw conclusions. "The Republican hysteria over the DHS report -- which was, by the way, initiated by a Bush administration official -- was always based more on a partisan scheme than reality, but the incessant complaints look especially misguided today," he wrote. For Matthew Yglesias, the grisly aftermath of the Tiller and Holocaust Museum shootings left little ambiguity about where to look. "I hope that everyone who mau-maued the Department of Homeland Security for expressing concern about this kind of thing feel appropriately ashamed of themselves," wrote Yglesias.